Equipped with the most advanced straightening system JOSAM Frame Press, which is the most used in Europe and recommended by leading manufacturers of trucks, we are able to act on the damaged part of the frame by induction heating while retaining the features of the material. 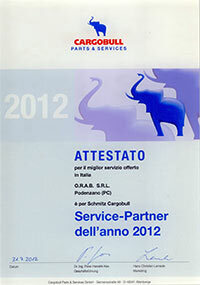 Great experience and competence of our technicians guarantee a very good quality level operation. Correct axle and wheel alignment reduces both fuel consumption and tyre wear!! The alignment is executed by JOSAM Truckaligner system. At the end of the alignment process we release a report which is recognized by manufacturers of trucks, trailers and axles, stating measurements of camber, convergence, alignment, and steering box registered before and after setting intervention. Through specific software diagnostic systems and the constant training of our staff we are able to make accurate diagnostics on the most important brake systems such as Wabco, Haldex , Knorr Bremse and then act with speed and skill on the electronic and pneumatic installation. We install power takeoffs and hydraulic systems for the operation of compressors, dumping trucks, ramps and any equipment that needs hydraulic operation. 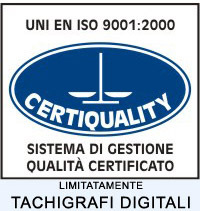 For each installation is carried out final testing and the record on the “registration certificate” at MCTC (Italy). Repairs on all types of axles and suspensions. Overhaul and assembly hydraulic power steering , hydraulic installation setting with specific equipments and final calibration of the “driving center” by JOSAM system. Telescopic cylinders assembly and maintenance. Construction of special cylinders single and double-acting and maintenance on hydraulic systems. Carpentry repairs to semi-trailers, dump trucks with paint finishing. We perform maintenance and repair of fiftht strictly according to the manufacturer instruction ensuring a safely use. All installation, repair, calibration and testing of digital tachographs can be performed only by technical centers authorized by the Ministry of Economic Development. Our company is authorized service center Actia (ID I3 AA076347). We provide activation, calibration and periodic checks of all types of digital tachographs (Actia, Stoneridge and Siemens) and assistance on all analogue tachographs (identification code PC037). The great experience of our mechanics is one of our main strength point. With a staff of 25 people and a large stock of spare parts available we are able to make repairs in the same day. 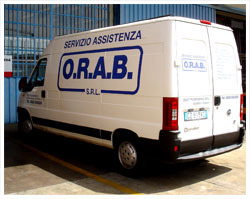 Furthermore an equipped van also allows us to provide emergency road assistance in a very short time.